This first parkour course is set in space, filled with cosmic elements, stars and more. The objective of this creative map is to reach new heights by jumping on blocks of ice floating in space. But be careful! it isn’t always as easy to land on ice as you think. Fortnite user Highpoxia has created this parkour course map. 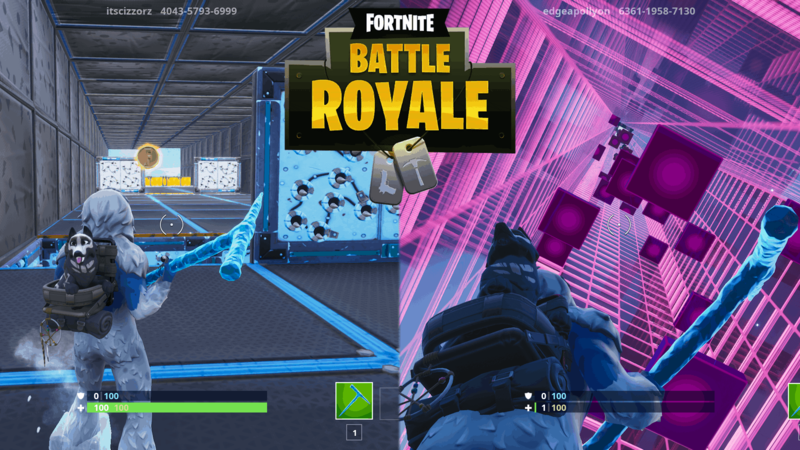 The deathrun maps made by popular Fortnite creator Cizzorz have always been a hit among the community. These parkour maps are very challenging, but comes with a promise of a hefty sum of cash to the player finishing the course the fastest. Therefore, tons of players are trying to complete this map as fast as possible. Fortnite user Cizzors has created this map. This beautiful parkour map is filled with flashy colors and music notes. Try to make your way through this map of sound if you have the skills. Fortnite user Edgeapollyon has created this map. Inside this cavern located in a snowy landscape your mission is to complete small parkour tasks to collect coins. This map is a great parkour maps for beginners wanting to try out some parkour but keep on dying on the harder maps. Fortnite user x has created this parkour course. If you seek some fast action parkour, then this slide run is just right for you. It features an obstacle course that requires you to jump at the exact right time to avoid traps and make it to the other side. You will have a freezer on you at all times during the run. Fortnite user x has made this parkour slide run. Next postHow Much Do Skins Actually Cost In Fortnite?